Riihivilla- mittens are a combination of Finnish tradition, harmonous natural colors and motifs from Finnish nature. 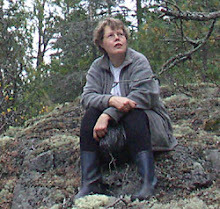 My mother Liisa Rajala designed the first mittens for us in 1992 and most of the mittens were made as a teamwork with her together with me and my husband Jouni. 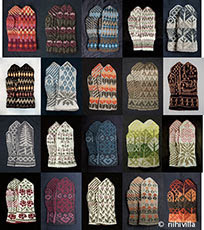 Our mittens are based on the traditional Finnish mittens, especially the palm of the mitten and the cuff. Thumb is knitted with gusset, so it fits your hand perfectly. 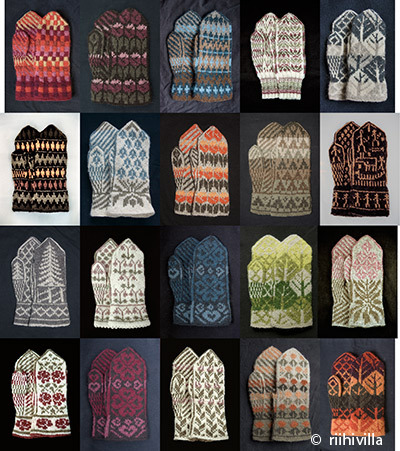 We sell our mittens as a kit, with yarn and the pattern, and you can buy them from our online shop or at the market Kauppatori in Helsinki. Mittens are adult size and there is plenty of yarn in the kit, if you want to make even bigger mittens. Or, if you want to make them smaller, most of the designs are easy to make smaller by reducing stitches from the edges and the actual pattern will stay untouched. 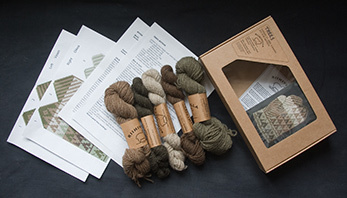 In the kits there is yarn, color picture of the mittens, written general instruction in Finnish or English and a colored chart. These mittens are of medium difficulty and they require some experience with stranded knitting and ability to read charts.